SLG knows that creative litigation strategies produce cost effective results. This involves working with our business clients to determine their objectives and cost constraints, then collaboratively developing a strategy that will reach the goal within the limitations that have been identified. SLG's thorough preparation and aggressive motion and discovery work provides the leverage to obtain early resolution through negotiation or mediation. 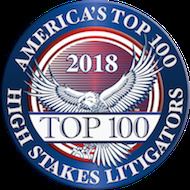 Our reputation for excellence and track record litigating high-stakes cases assures those settlements are negotiated from a position of strength. Defense of auto dealership against allegations of conversion and unfair business practices (U.S. District Court). Representation of cell phone dealer in breach of contract action against cellular service provider (AAA Commercial Arbitration). Defense of consultant and alleged outside director in receivership litigation alleging breach of director oversight duties (U.S. District Court). Representation of family trust in lawsuit against foreign bank for wrongfully freezing customer’s account (U.S. District Court).